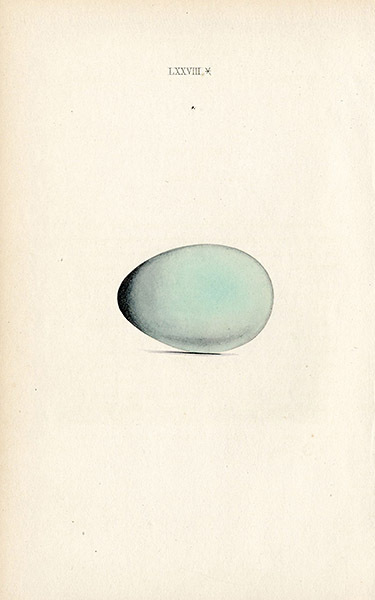 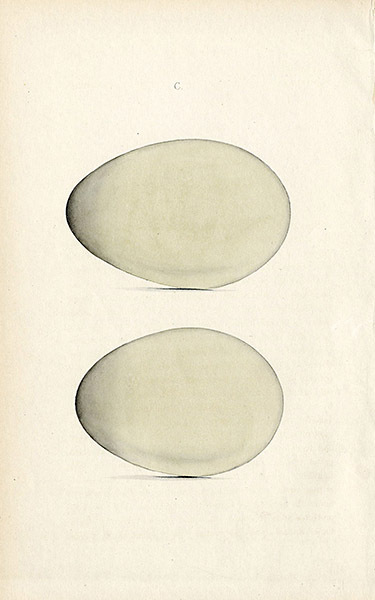 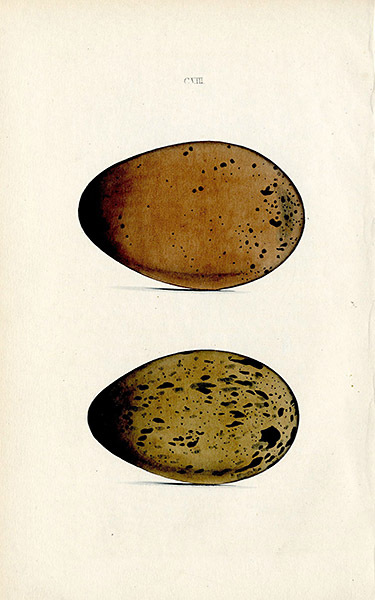 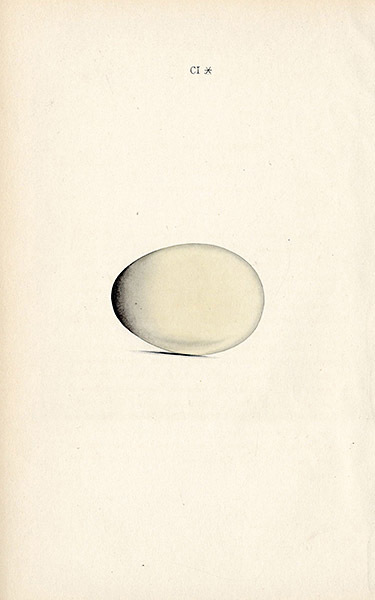 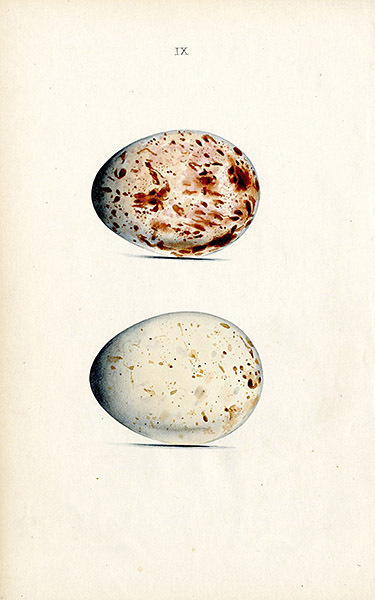 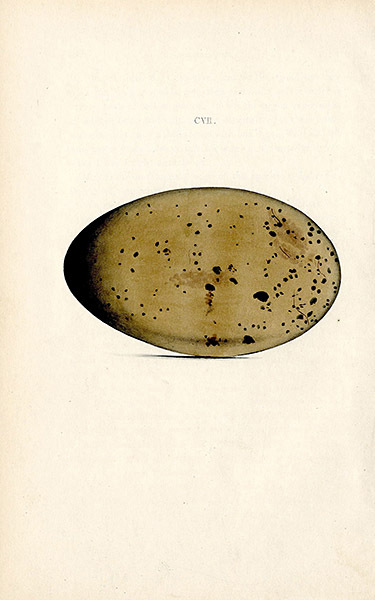 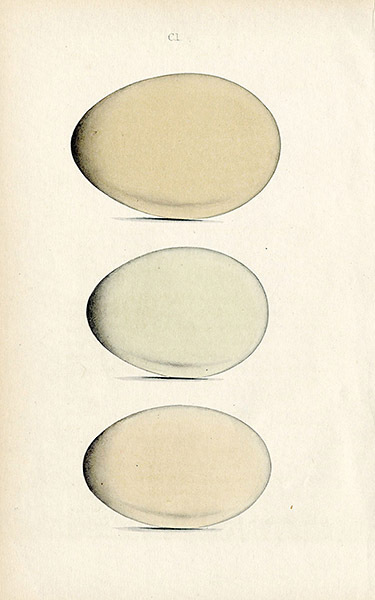 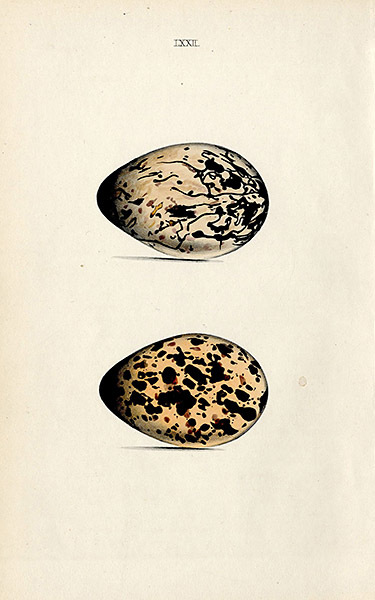 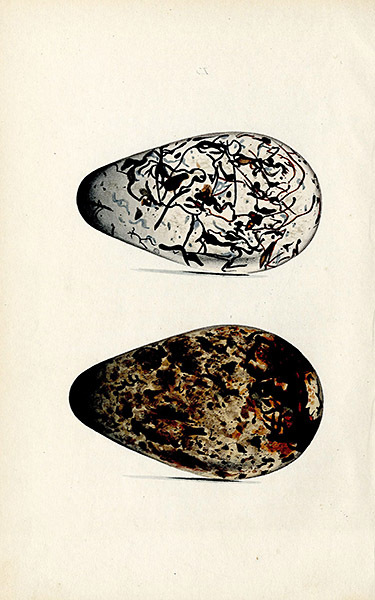 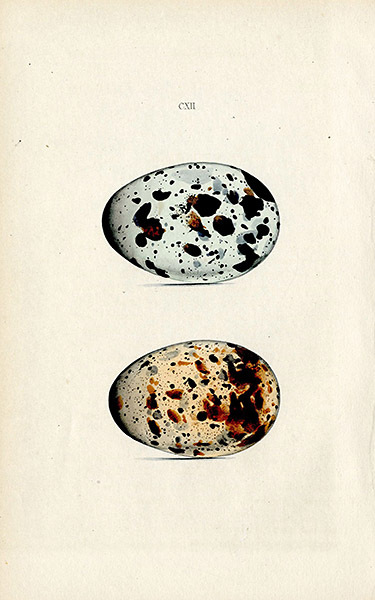 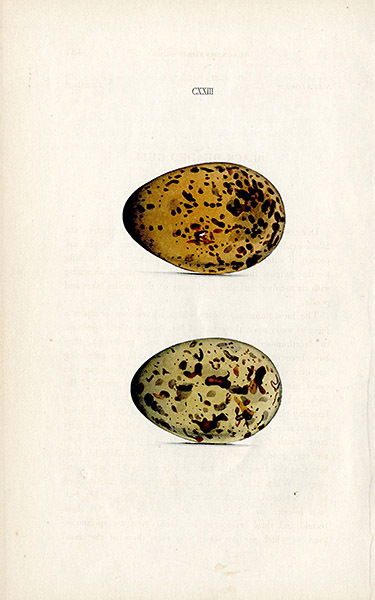 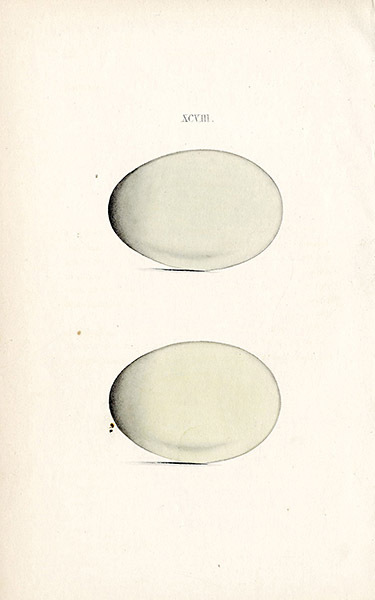 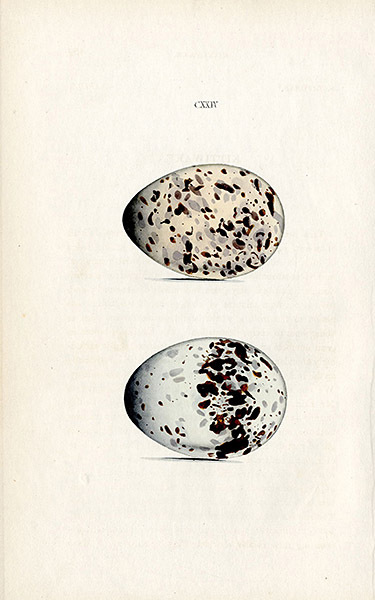 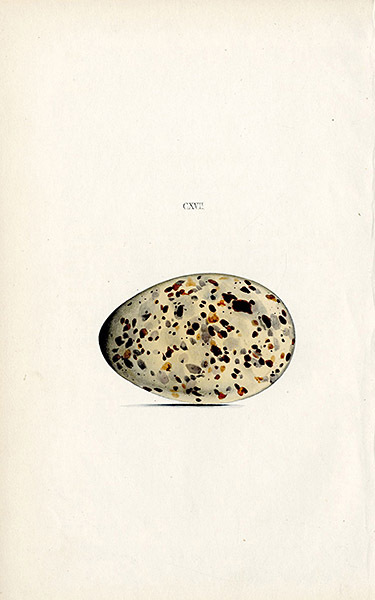 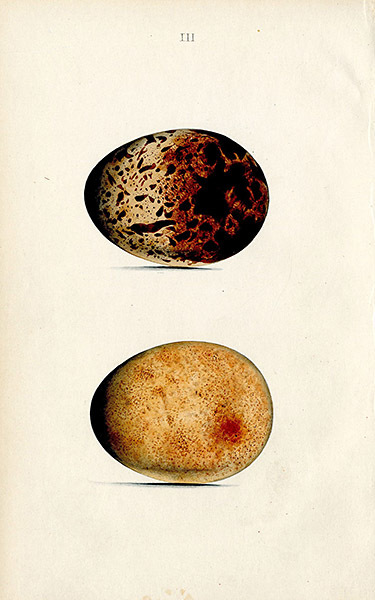 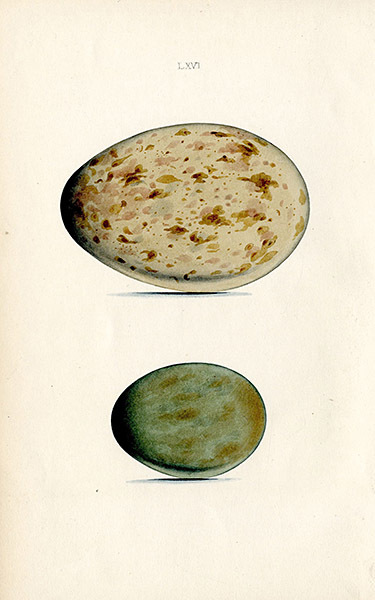 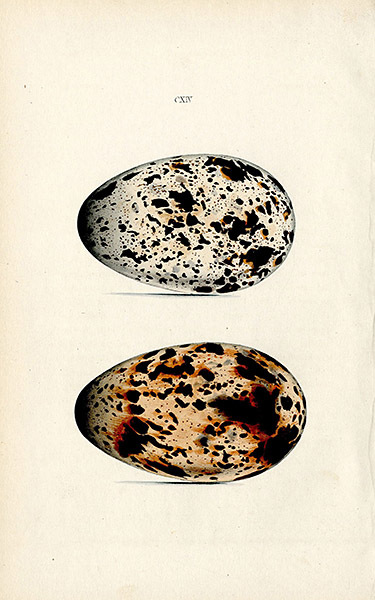 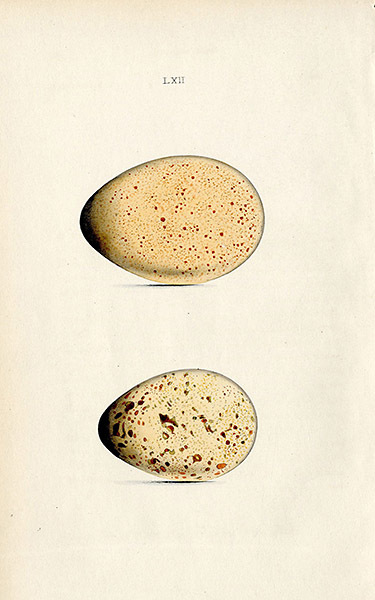 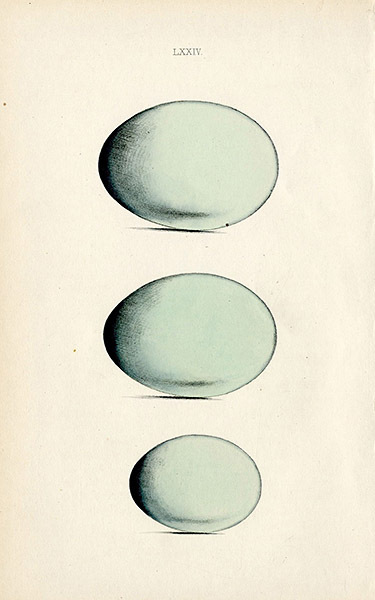 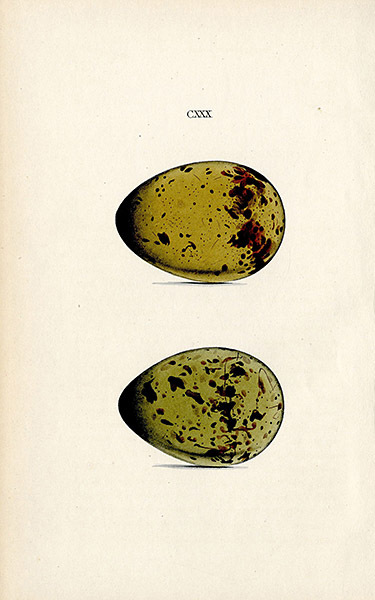 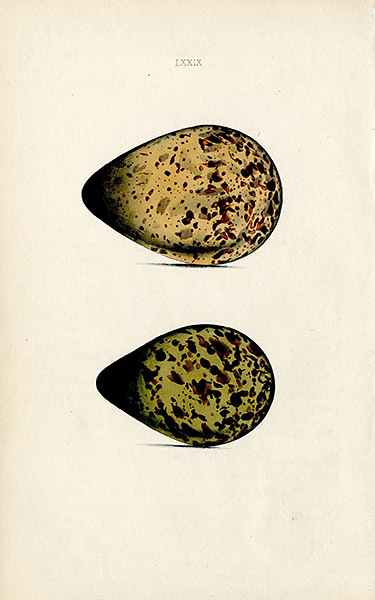 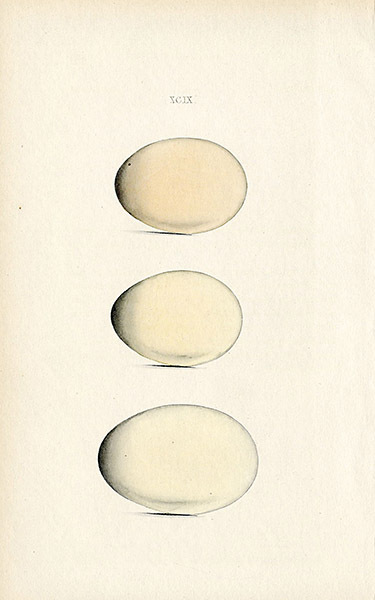 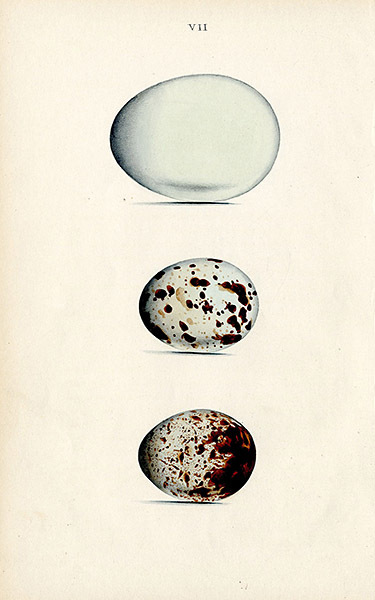 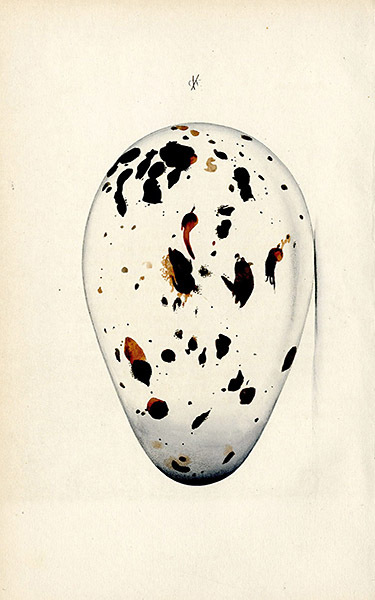 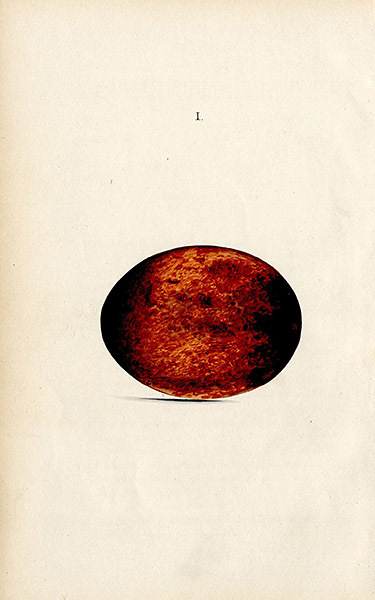 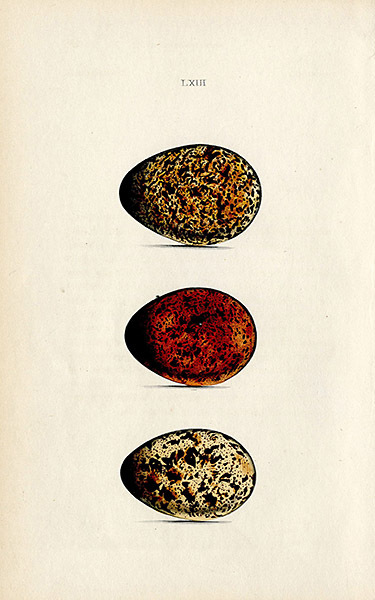 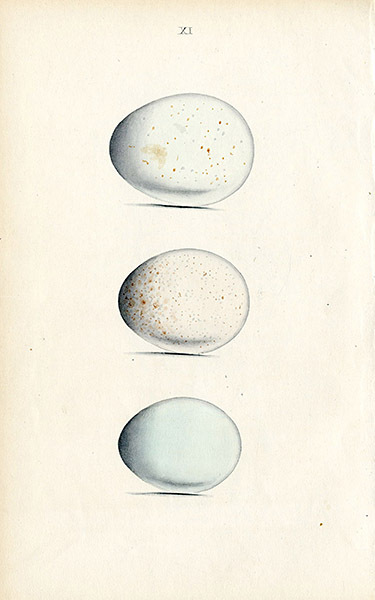 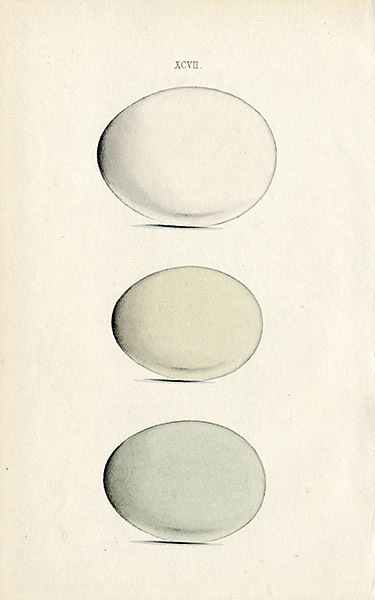 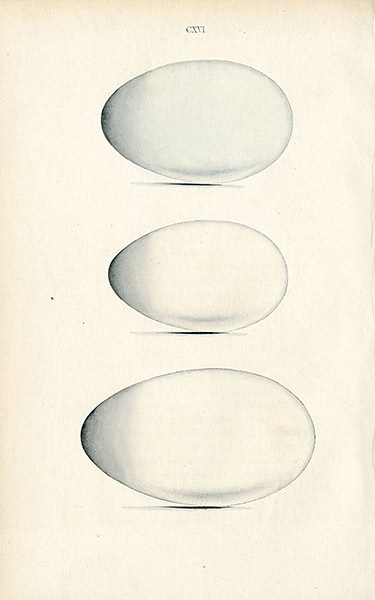 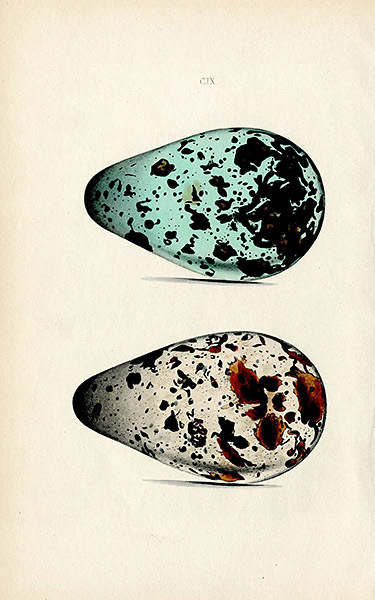 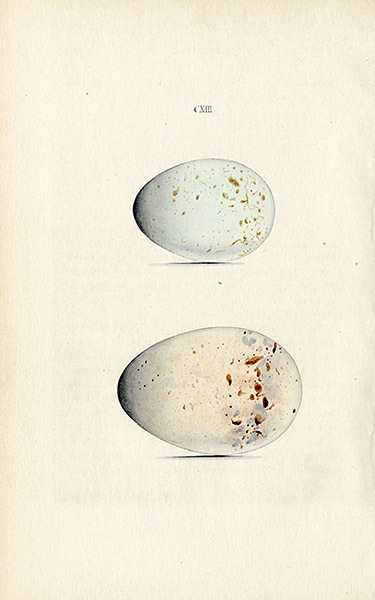 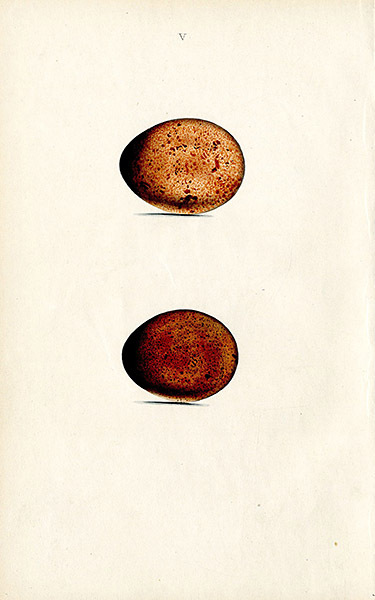 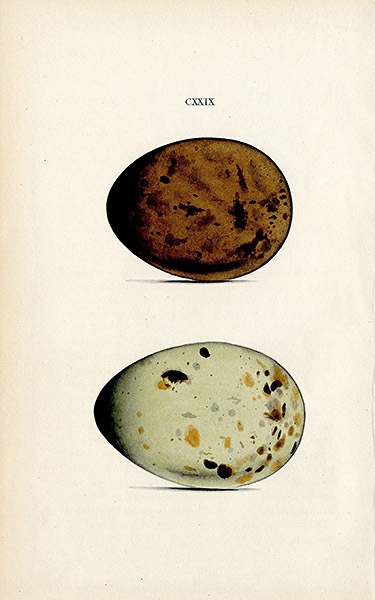 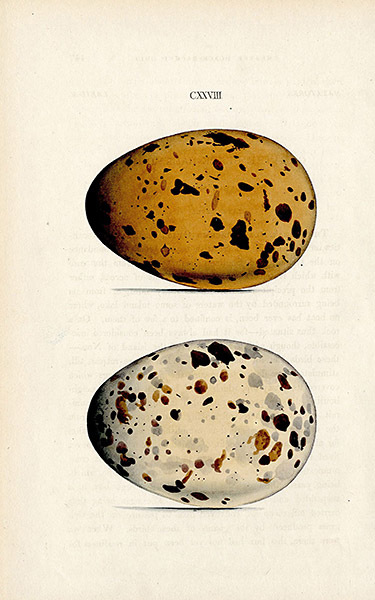 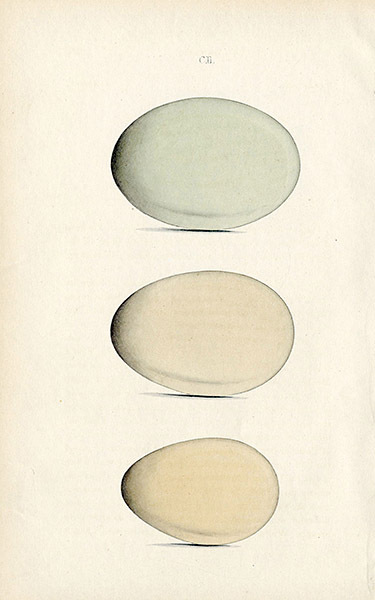 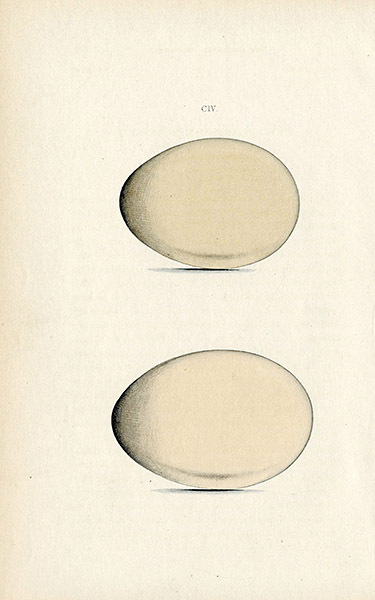 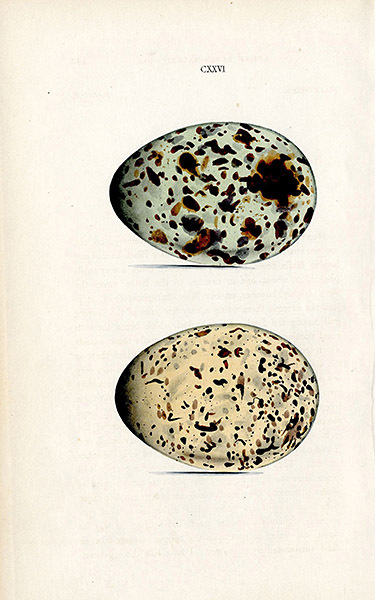 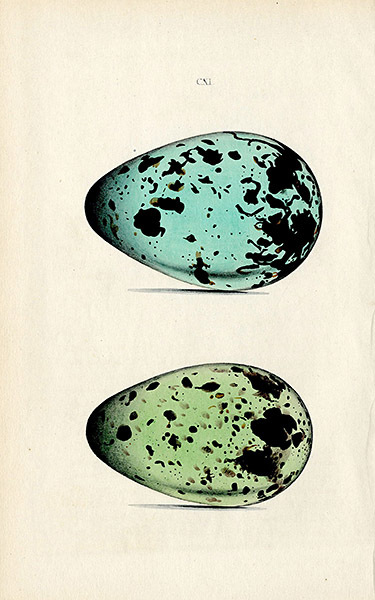 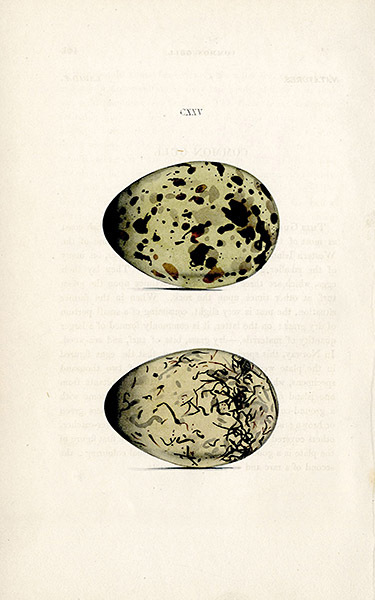 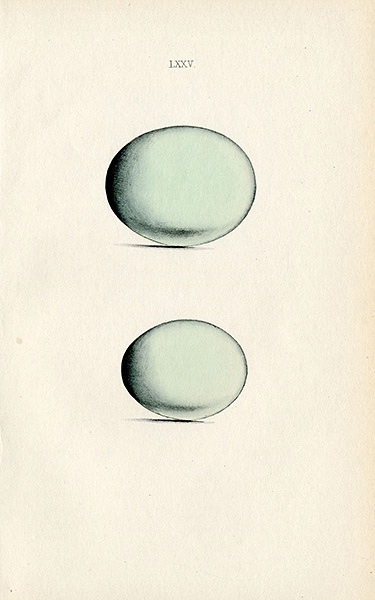 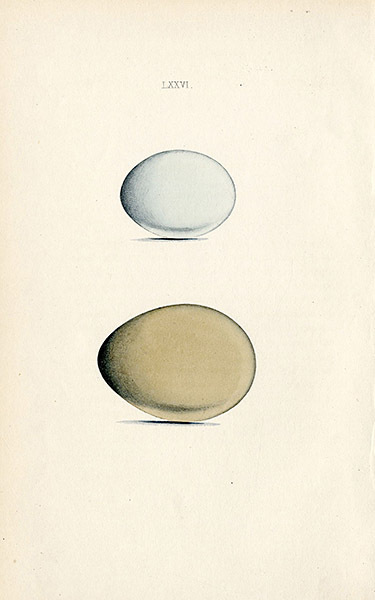 We are delighted to offer these hand colored engravings from the 1846 edition of Coloured Illustrations of the Eggs of British Birds by William C. Hewitson. 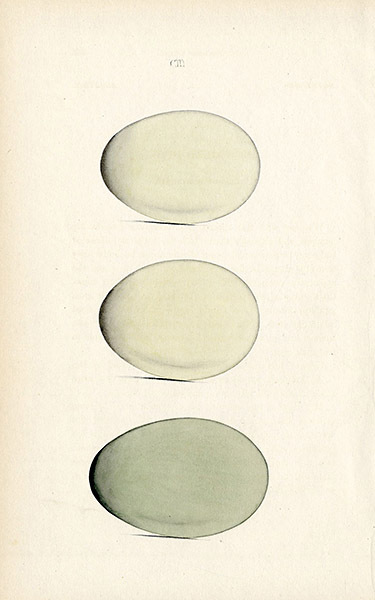 The hand coloring in these plates is exquisite. 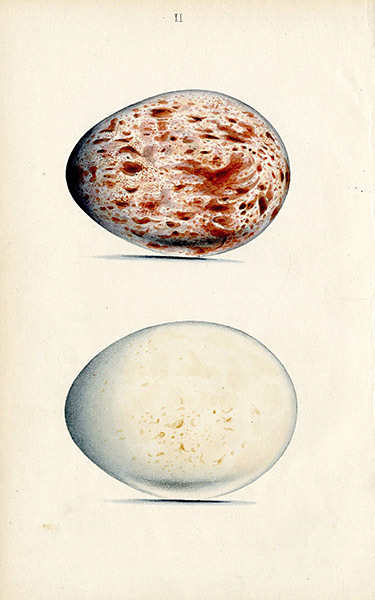 The delicate features of each egg have been painstakingly rendered with pristine accuracy. 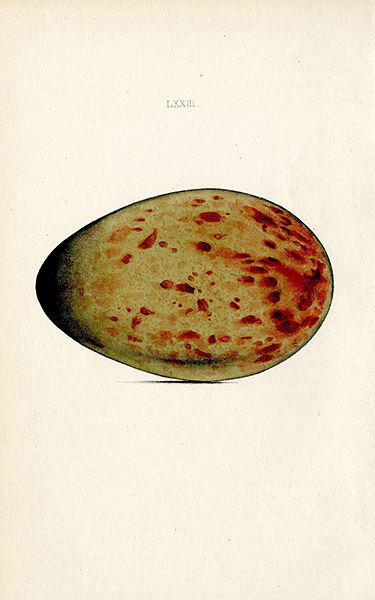 Exhibiting a naïf & almost primitive quality, these hand colored egg engravings glow on the page, and give the appearance of being entirely hand drawn. 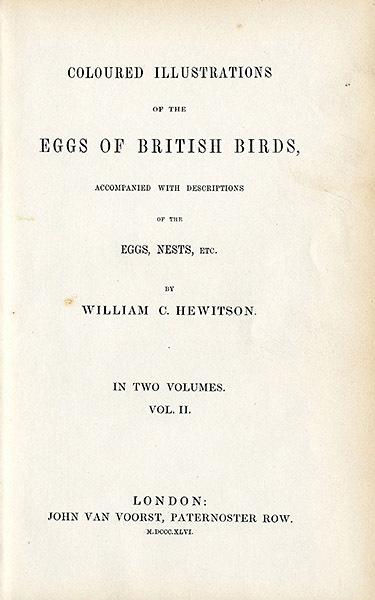 This work was the first major British work on oology, preceded only by Donovan's 17-plate volume in 1826, and is becoming increasingly rare. 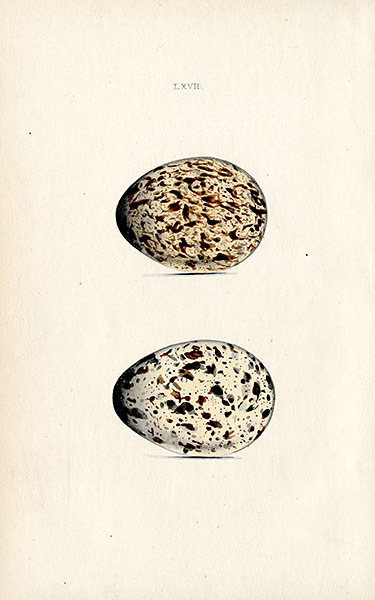 Each print measures approximately 5 1/4 inches by 8 1/4 inches. 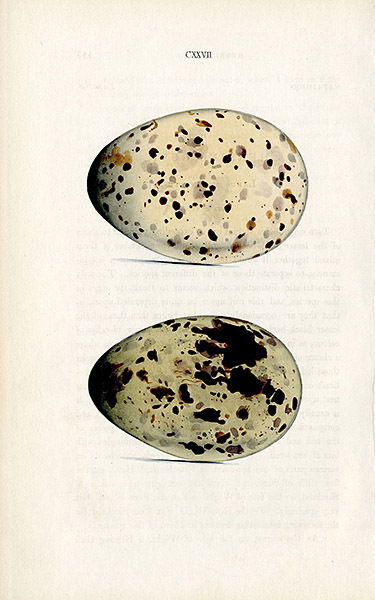 The photos are very accurate, so please review carefully. 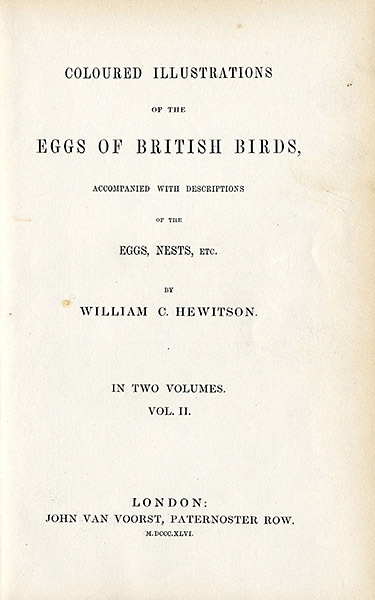 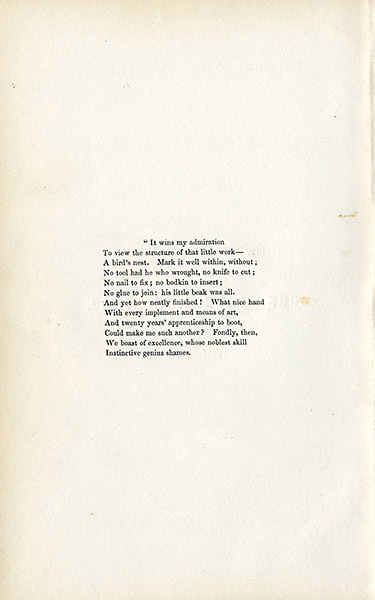 The descriptive text is included with these prints, and a copy of the title page will be provided. 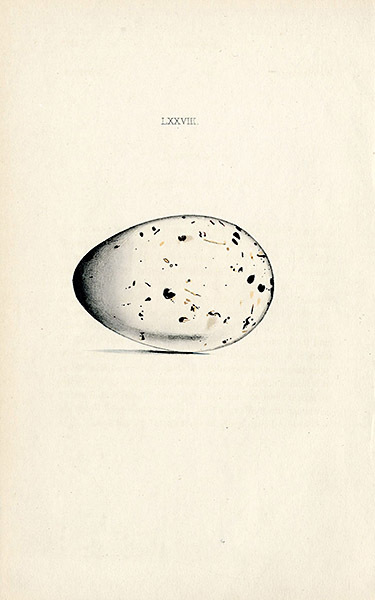 All our prints are authentic antique prints and guaranteed to be from the date stated. 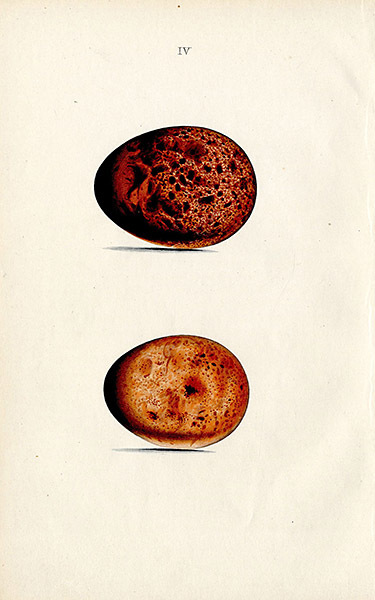 These prints are about 150 years old.